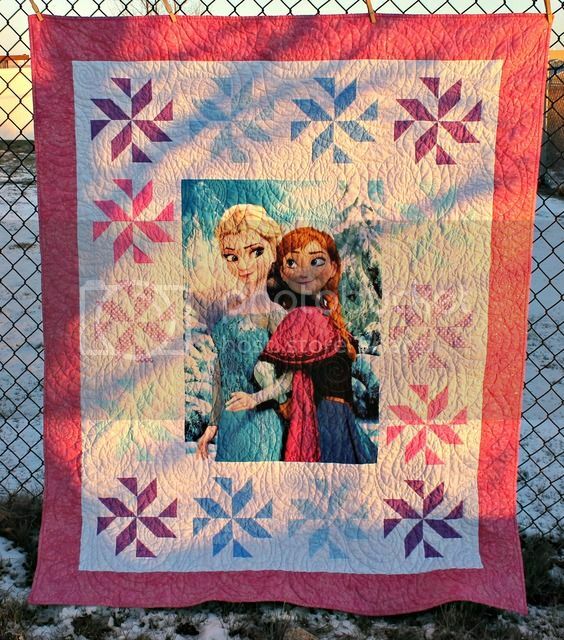 Frozen Princess Quilt - Finished! 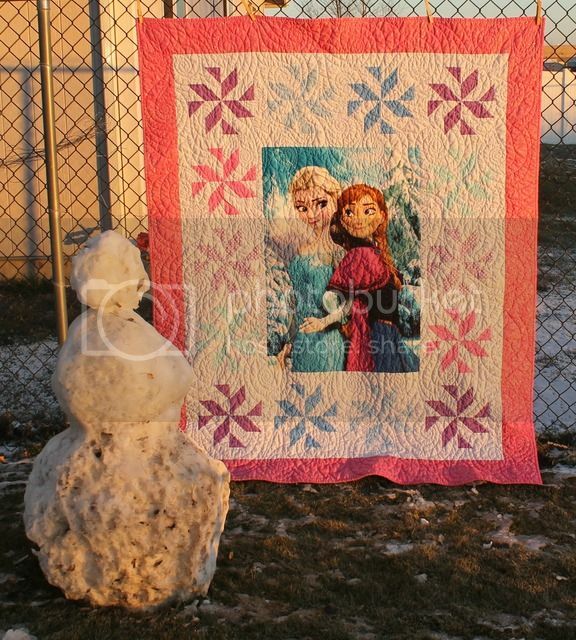 This is from a pattern by Fat Quarter Shop, kitted up by my friend's LQS in Illinois. 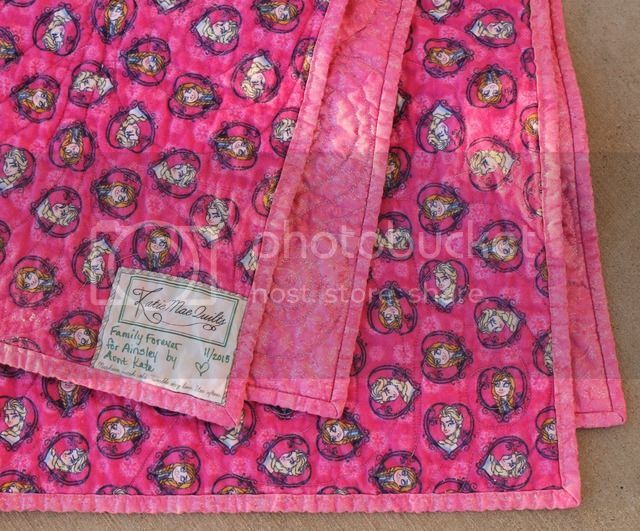 There are very few people I will do this kind of thing for - "if I send you the fabric, will you...?" but the recipient is my goddaughter. So family forever! We had a dusting of snow the other day, and the Dude scraped up every bit of it to make this poor prop snowman. Ahh, there's the true colors of the fabric. I hated this pattern - the blocks' original instructions has so much waste. I changed it to HSTs, but then ended up having to trim 192 of those... On the bright side, I have lots of dotty blender fabrics leftover. 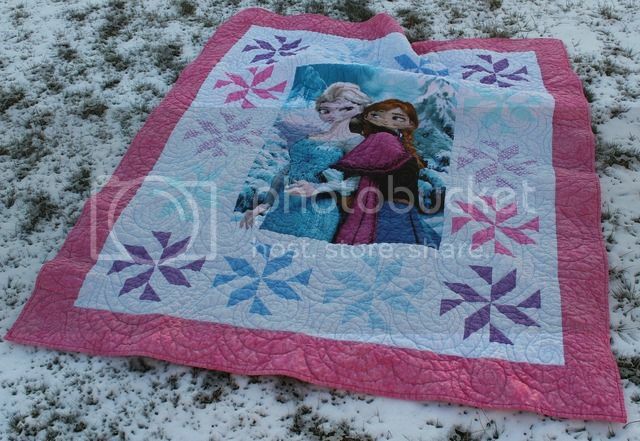 The backing is, unsurprisingly, pink Frozen flannel. 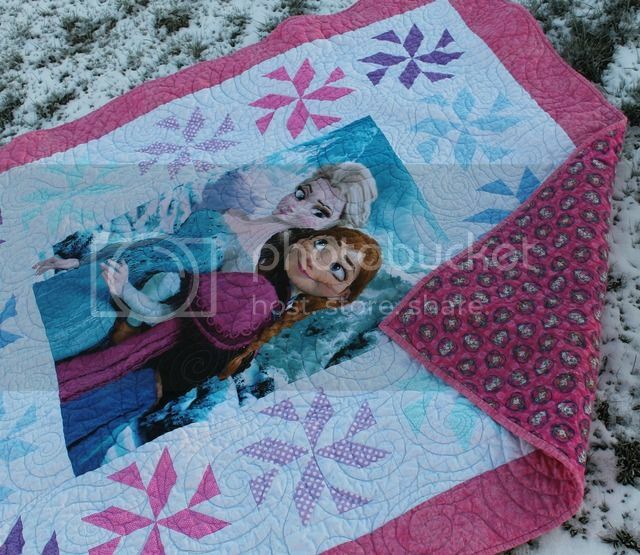 The quilting is big "snow" swirls. And look, I actually filled out the label!